Thu, January 17, 2019 1:00 P.M.
Community College of Philadelphia, Great Hall, Winnet Student Life Building, 2nd Floor, 17th St. between Spring Garden and Callowhill Sts. 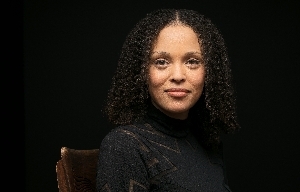 Join Jesmyn Ward for a reading and moderated discussion about incarceration and its effect on families, as well as the writing process required to create an award-winning novel. Doors will open at 12:45 p.m. and a book signing will follow the event.